The NIC-9702EF-2SFP Dual-Port Server Adapter is PCIe 1GbE network ethernet adapters. Built with the Intel 82576 Gigabit Ethernet Controller, these new adapters showcase the next evolution in GbE networking features for the enterprise network and data center. These features include support for multi-core processors and optimization for server virtualization. These dual-port adapter provide high-performing, dual-port Gigabit connectivity in a multi-core platform as well as in a virtualized environment. In a multi-core platform, the adapters support different technologies such as multiple queues, receive-side scaling, MSI-X, and Low Latency Interrupts, that help in accelerating the data across the platform, thereby improving application response times. 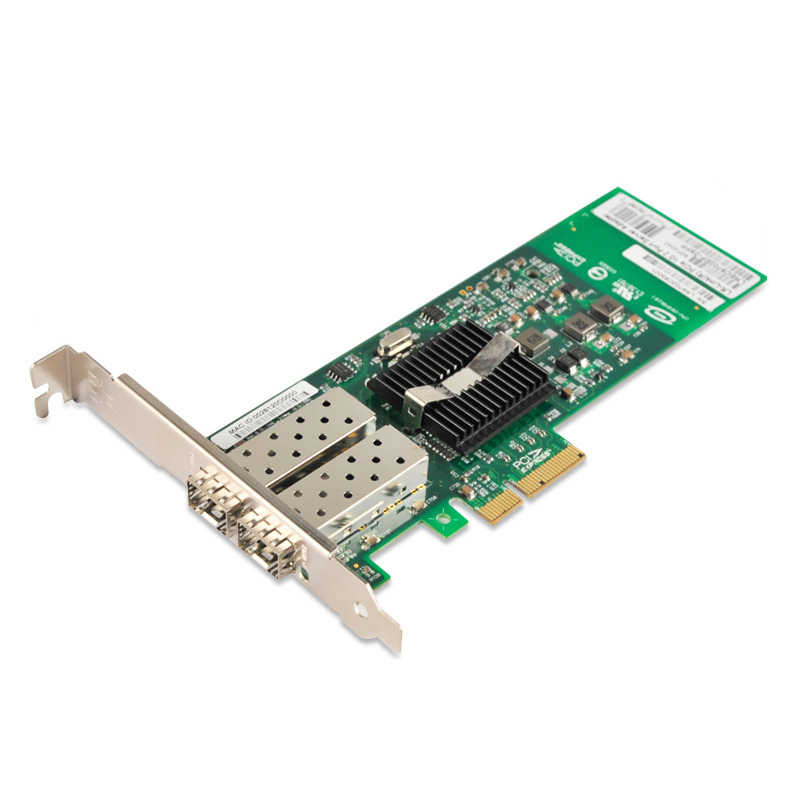 The NIC-9702EF-2SFP PCIe Gigabit adapter provides improved performance with the next-generation VMDq technology,which includes features such as loop back functionality for inter-VM communication, priority-weighted bandwidth management, and doubling the number of data queues per port from four to eight. It now also supports multicast and broadcast data on a virtualized server. The NIC-9702EF-2SFP Multi-Port Server Ethernet Adapter is PCIe adapters to provide authentication and encryption for IPsec and LinkSec. LinkSec is already designed into the network adapter hardware. These adapters are future-proof and prepared to provide LinkSec functionality when the ecosystem supports this new technology. IPsec provides data protection between the end-point devices of a network communication session. The IPsec offload feature is designed to offload authentication and encryption of some types of IPsec traffic and still delivers near line-rate throughput and reduced CPU utilization. LinkSec is an IEEE industry-standard feature that provides data protection in the network. The IEEE 802.3ae and IEEE 802.3af protocols provide hop-to-hop data protection between two network devices in the transaction line between the host and destination. The two network devices must support the LinkSec technology. The network devices could be servers, switches, and routers.